Modelo is the fastest real-time 3D rendering tool in the AEC industry. 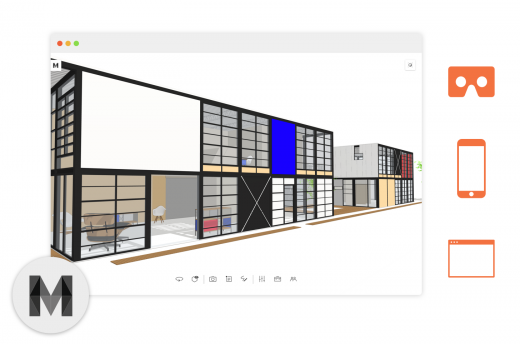 A browser-based platform, Modelo enables architects and designers to quickly upload, present and share their 3D files with clients, consultants and colleagues, while archiving all feedback and markups without needing any software installed. This Plug-in enables VWX files to be uploaded directly into Modelo from within Vectorworks 2016 for PC. The Plug-in is free to download and to use it you must have a connected Modelo account: Free, Studio or Enterprise. We recommend using Google Chrome, Firefox or Safari. The plugin for Vectorworks is free to download for Windows users. Modelo offers subcription options for Free, Studio, and Enterprise accounts. See website for further details.